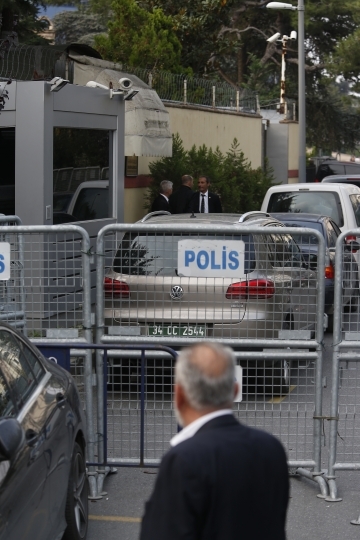 Turkish state media say investigators found three suitcases, a laptop computer and clothing inside a car belonging to the Saudi Consulate in Istanbul. 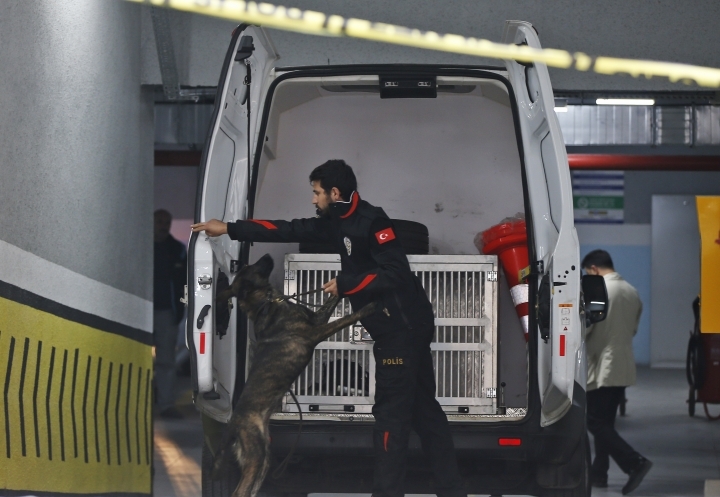 State television TRT reported that Turkish crime scene investigators inspected the vehicle on Tuesday for possible evidence in the slaying of Saudi journalist Jamal Khashoggi. Authorities discovered the car at an underground garage on Monday. 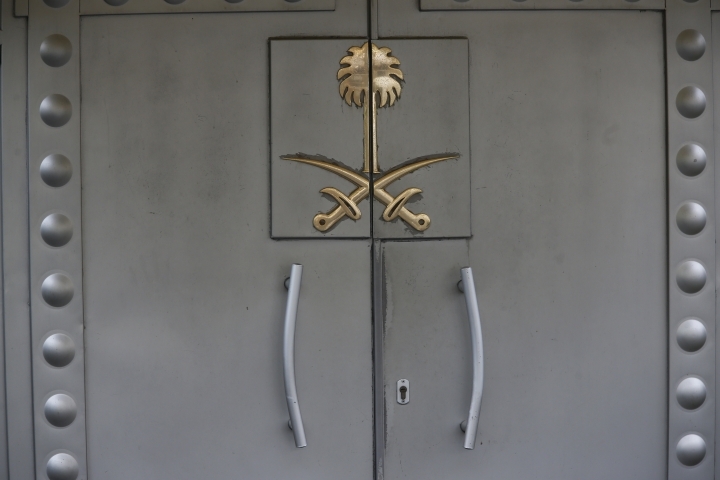 Saudi Arabia has said Khashoggi was killed in a fistfight that broke out inside the consulate. Turkey says he was the victim of a planned killing. 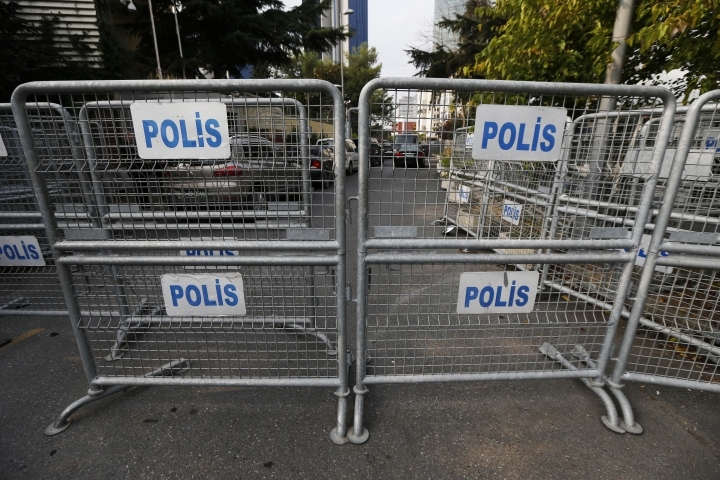 Turkish authorities have not found the journalist's body. Foreign ministers from the G-7 group of industrialized nations say the explanations offered for the killing of Saudi journalist Jamal Khashoggi leave many questions unanswered and those responsible for the death must be held to account. A joint statement from Canada, France, Germany, Italy, Japan, the United Kingdom and the United States, along with the European Union, condemned Khashoggi's slaying in the "strongest possible terms." 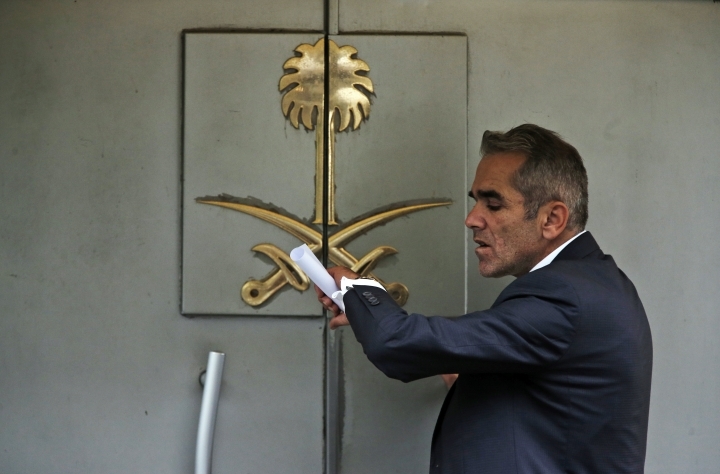 They called Saudi Arabia's confirmation of the writer's death inside the Saudi Consulate in Istanbul a first step toward full transparency and accountability. The statement issued Tuesday reiterated the need for a thorough, credible and prompt investigation done with the full collaboration of Turkish authorities. The G-7 ministers say Khashoggi's killing demonstrates the need to project journalists and to reaffirm the right to free expression. The European Union's top diplomat says the bloc is working with the group of seven most industrialized nations to coordinate a response to the killing of Saudi journalist Jamal Khashoggi. EU foreign policy chief Federica Mogherini said Tuesday that "the European Union's reaction from now on will depend on the next steps that will be taken by the Saudi authorities." Mogherini told EU lawmakers that foreign ministers are working with their G7 counterparts on "further steps and statements to be taken together." She did not go into detail about those steps. She called on the Saudi's "to provide all the information they have about the case and to ensure that those responsible are brought to justice." Lawmakers described Saudi explanations about Khashoggi's death as a "cover-up and a "white-wash."
Turkish officials say President Recep Tayyip Erdogan has promised family members of slain journalist Jamal Khashoggi that Turkey would do all it can "to shed light on the murder." The officials said Erdogan on Tuesday called Khashoggi's son, Abdullah, to express his condolences, and also spoke with other members of his family. Erdogan told family members that he was "deeply saddened" by his death and that Turkey would follow up the incident. The officials provided the information on condition of anonymity in line with regulations. Saudi Arabia has said the journalist, a critic of the Saudi royal family, was killed in a fistfight. Erdogan said earlier Tuesday that he was the victim of a "savage murder" that was planned days ahead. U.S. Vice President Mike Pence says the death of Saudi writer Jamal Khashoggi "will not go without an American response." Pence said CIA Director Gina Haspel is in Turkey reviewing the facts of what Pence called a "brutal murder." He offered condolences to Khashoggi's family. Speaking Tuesday in Washington at an event hosted by The Washington Post, Pence would not elaborate on what a possible U.S. response would be. Khashoggi, a Post contributor, lived in Virginia. Asked if the U.S. would sanction members of Saudi Arabia's royal family if they were found to have been complicit, Pence said that's a decision for President Donald Trump. He says Trump will make a decision that reflects the values and national security interests of the nation and will "make sure the world knows the truth." Lawmakers in Spain have rejected proposals to halt arms exports to Saudi Arabia after a debate. Conservative and ruling Socialist lawmakers argued Tuesday that jobs in the defense industry needed to be protected. They rejected non-binding proposals by far-left and smaller parties calling for a weapon export freeze. The pro-business Citizens party abstained. Spain chose last month not to risk a $2.1 billion contract for five navy frigates in a job-hungry region when it went ahead with a bomb shipment to Saudi Arabia that members of Pedro Sanchez's Socialist government had tried to stop. The prime minister is expected to brief lawmakers on the issue on Wednesday. 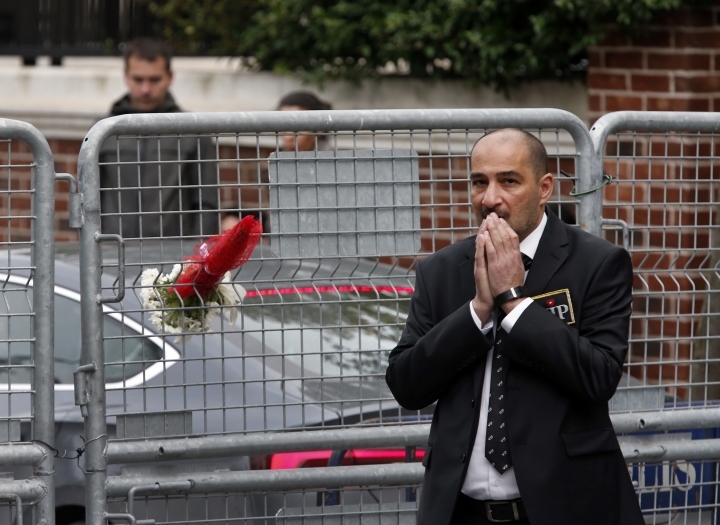 Western countries have been rethinking their dealings with the Gulf kingdom amid international uproar over the killing of dissident Saudi writer Jamal Khashoggi in Istanbul earlier this month. Saudi King Salman and Crown Prince Mohammed bin Salman have received the family of killed journalist Jamal Khashoggi and expressed their condolences. The royals received the journalist's son, Salah, and his brother, Sahel, at the Yamama Palace in Riyadh on Tuesday. A friend of the Khashoggi family told The Associated Press that Salah has been under a travel ban since last year. The individual spoke on condition of anonymity, fearing reprisal. 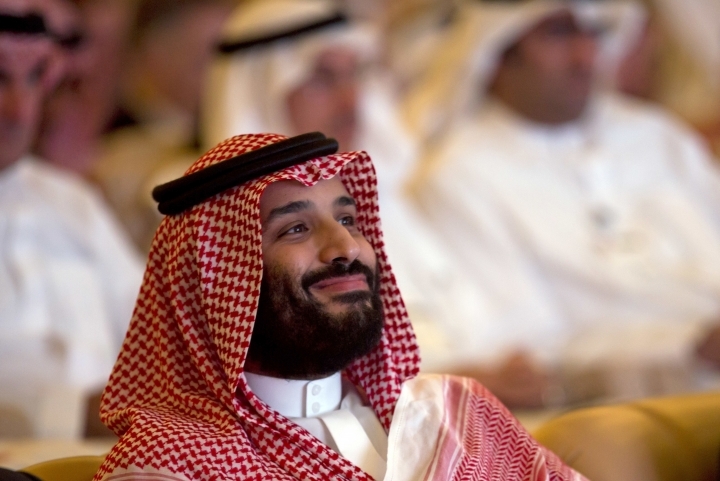 Prince Mohammed has come under mounting pressure, with critics suspecting he ordered the high-profile operation or at least knew about it. Saudi authorities say they have arrested 18 suspects and dismissed senior officials. The prince appeared briefly at an afternoon panel Tuesday alongside Jordan's King Abdullah II, but made no public remarks. The leaders of Sweden and Denmark are reacting after Turkey's President Recep Tayyip Erdogan said Saudi Arabia murdered Saudi writer Jamal Khashoggi after plotting his death. Stefan Lofven, Sweden's acting prime minister, says "it seems very credible that something terrible has happened there, something horrible." However, Lofven refrained from commenting further pending more facts, Sweden's TT news agency reported. 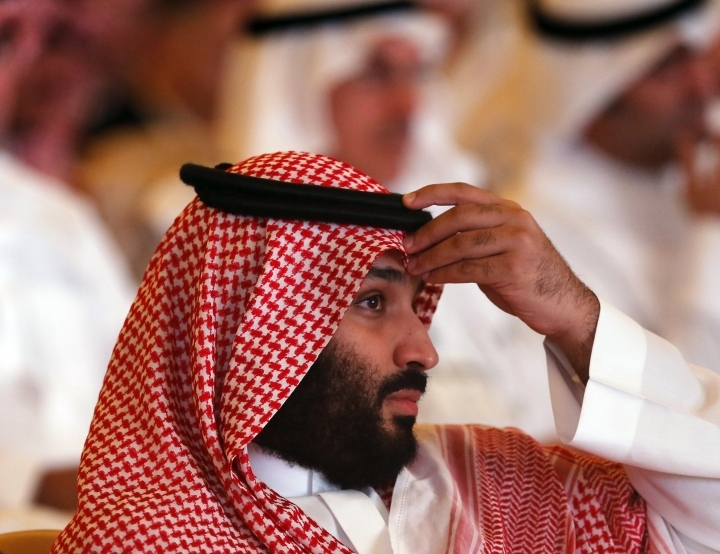 In neighboring Denmark, Foreign Minister Anders Samuelsen is summoning the Saudi ambassador and said the meeting would be held "as soon as possible." He said, "there are still a lot of unclear questions and I believe it is fair to give the ambassador the possibility to explain himself." Samuelsen had earlier said there would be no official Danish participation in an investment conference in Saudi Arabia as "a natural consequence of the actual situation." A U.S. official says CIA Director Gina Haspel is in Turkey to review the case of slain Saudi writer Jamal Khashoggi. The official was not authorized to discuss the trip and spoke only on condition of anonymity. Haspel's visit Tuesday comes a day after U.S. President Donald Trump said he was not satisfied with Saudi Arabia's explanation of Khashoggi's death three weeks ago in the kingdom's consulate in Istanbul. 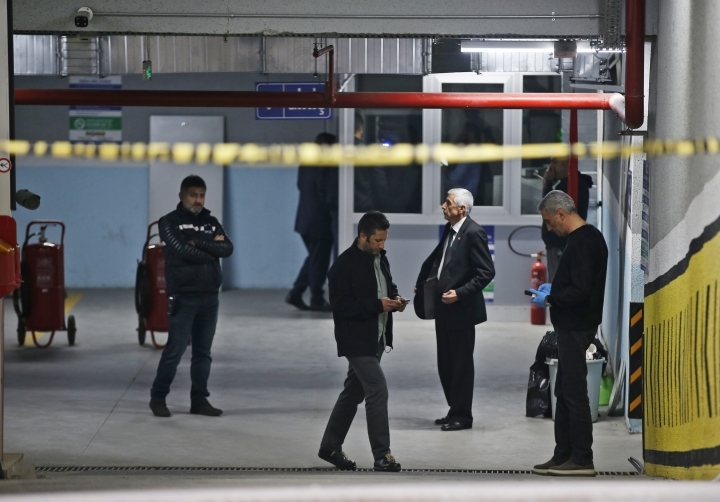 Saudi Arabia said he was killed in a fistfight, but Turkish officials said the 59-year-old Washington Post columnist was attacked and killed by a 15-man Saudi team. 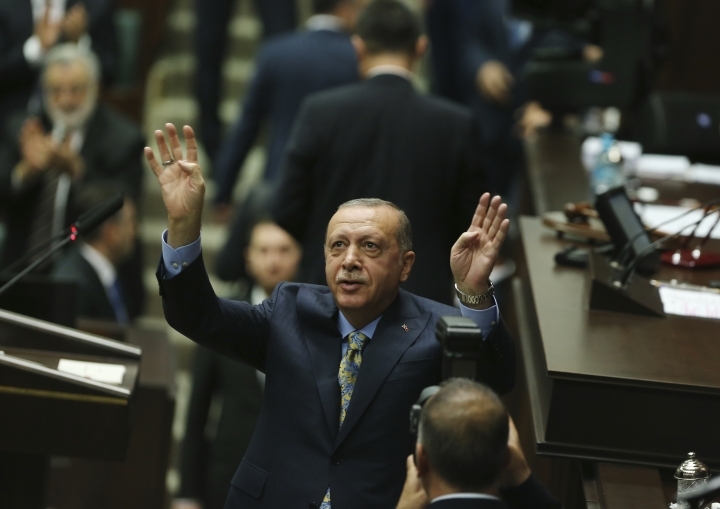 Turkish President Recep Tayyip Erdogan says he wants Saudi Arabia to allow 18 suspects that it detained for the journalist's killing to be tried in Turkish courts. 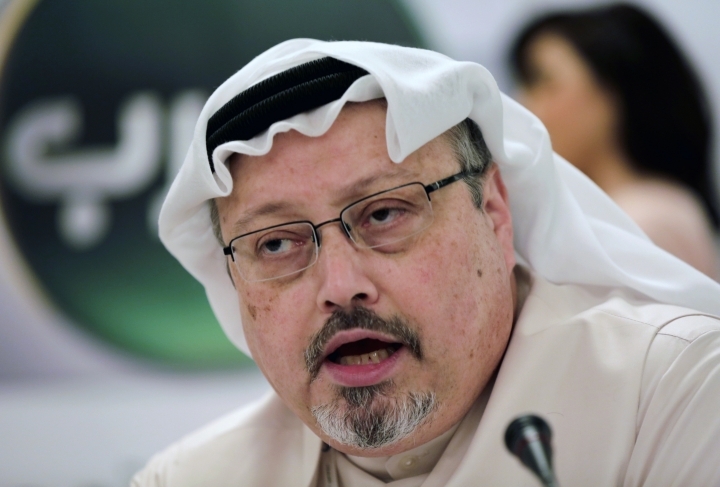 By Deb Riechmann in Washington, D.C.
Turkey's president has urged Saudi Arabia to reveal who ordered the "savage murder" of dissident journalist Jamal Khashoggi at the kingdom's consulate in Istanbul, and said the 18 Saudis suspected of carrying it out should be tried in Turkish courts. 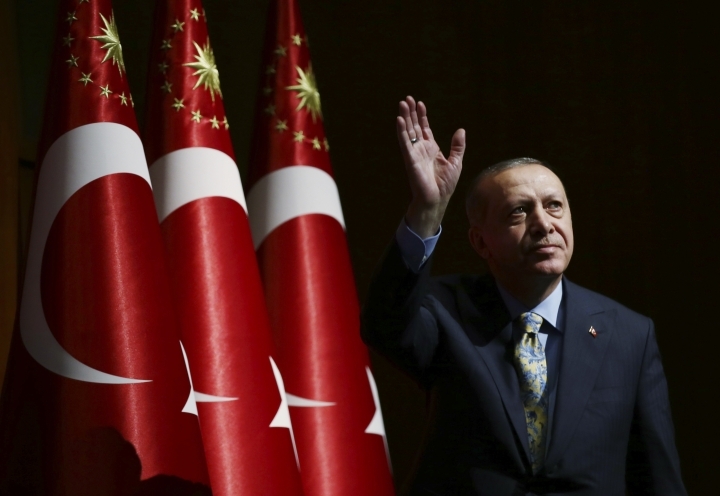 Addressing lawmakers of his ruling party in Parliament Tuesday, Turkish President Recep Tayyip Erdogan says all those responsible for the killing must be punished regardless of rank — from the person who ordered his death to those who carried out the killing. He asked: "where is the body of Jamal Khashoggi?" For the first time, Erdogan also confirmed that a body double of Khashoggi was used as a decoy after he was killed. Erdogan's speech came as skepticism intensified about Saudi Arabia's account that he died accidentally in its consulate in Istanbul. Turkey's president says Saudi officials started planning to murder Saudi writer Jamal Khashoggi days before his death in Saudi Arabia's Istanbul consulate. President Recep Tayyip Erdogan said Tuesday that the Saudi officials began plotting against Khashoggi in late September, days ahead of his disappearance after he entered the consulate on Oct. 2. Erdogan's comments contradicted Saudi accounts that Khashoggi died accidentally in a "fistfight" in the consulate. Saudi Arabia says organizers will be signing deals worth $50 billion at the start of a major economic forum in Riyadh. The Future Investment Initiative forum, which began on Tuesday, is the brainchild of Saudi Crown Prince Mohammed bin Salman. It's aimed at drawing more foreign investment into the kingdom and to help create desperately needed jobs for its youthful population. The deals will be in manufacturing, transportation and other fields. Prince Mohammed was not immediately at the forum when it started. The forum last year proved to be a glitzy affair that drew more international business attention to the kingdom. This year's event meanwhile has seen business leaders drop out over Khashoggi's Oct. 2 slaying. A high-profile economic forum in Saudi Arabia has begun in Riyadh, the kingdom's first major event on the world stage since the killing of writer Jamal Khashoggi at the Saudi Consulate in Istanbul earlier this month. The forum last year proved to be a glitzy affair that drew more international business attention to the kingdom. This year's event meanwhile has seen many top business leaders and officials drop out over Khashoggi's Oct. 2 slaying. Turkey's foreign minister says his country would cooperate with international bodies if they were to launch an independent probe into the killing of Saudi writer Jamal Khashoggi. In an interview with state-run Anadolu Agency, Mevlut Cavusoglu also said Tuesday that Turkey has not shared evidence concerning his death at the Saudi consulate with any country but added that there may have been "an exchange of views between intelligence organizations." Saudi Arabia has said Khashoggi, a critic of the Saudi royal family, was killed Oct. 2 in a "fistfight" with officials sent to encourage him to return to the kingdom. 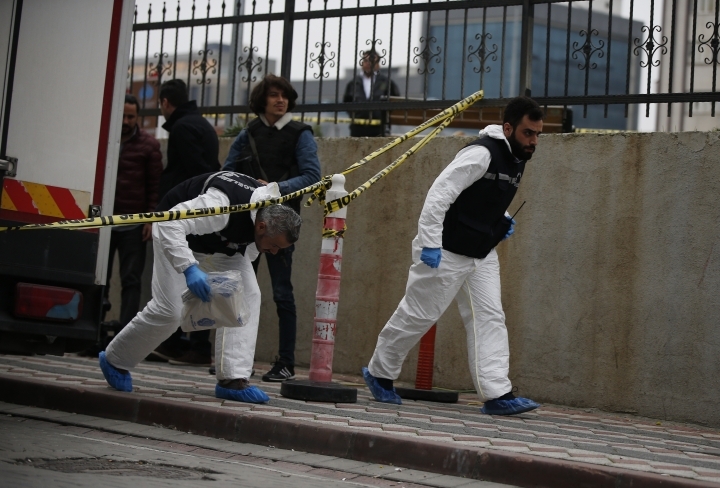 Turkish media and officials say the 59-year-old Washington Post columnist was killed and dismembered by a 15-man Saudi hit squad. Cavusoglu said: "If a request for an international investigation is made ... we would cooperate." 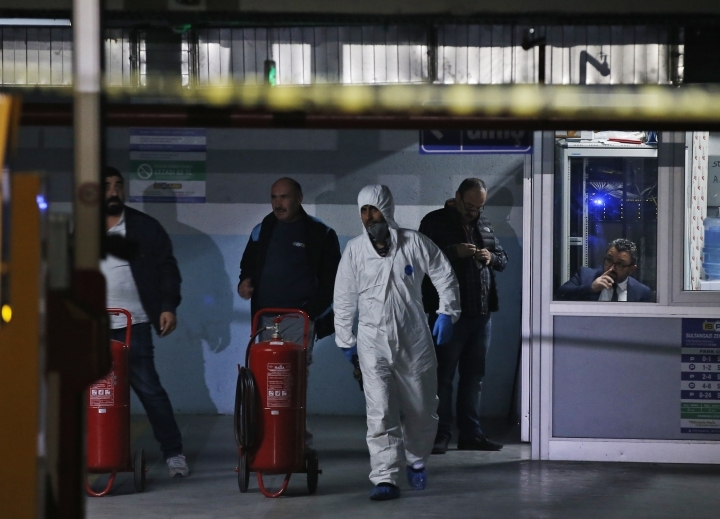 The Turkish president is expected to announce details Tuesday of his country's investigation into the killing of Saudi writer Jamal Khashoggi, as skepticism intensified about Saudi Arabia's account that he died accidentally in its consulate in Istanbul. President Recep Tayyip Erdogan has said he will "go into detail" about a case that has shocked the world and raised suspicions that a Saudi hit squad planned Khashoggi's killing after he walked into the consulate on Oct. 2, and then attempted to cover it up. Top Turkish officials have said Turkey would clarify exactly what happened to Khashoggi and a stream of leaks to national and international media has increased pressure on Saudi Arabia, which is hosting a glitzy investment conference this week that many dignitaries have decided to skip because of the scandal. " In Hip N Trendy, we constantly discover and share the best products in the market to make sure that you know what’s new. It’s always FUN to talk with people who have the same interests as us, don’t you agree? Copyright © 2015 - 2019 Hip Trendy. All Rights Reserved.